Since the scary episode from trying on a new mask, I've been keeping my routine fairly basic. I've toned down on products the past couple of months but have slowly injecting it back now that my skin feels stronger. 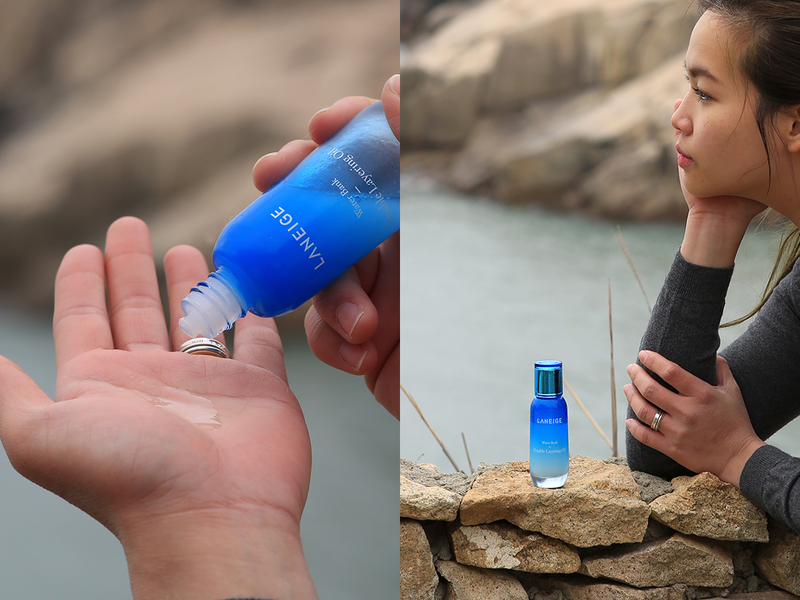 During travels, I usually get lazy too occupied for a proper skincare routine but not to neglect my skincare completely, I found these 2 products being sufficient enough to keep me moisturized (even during colder days)! 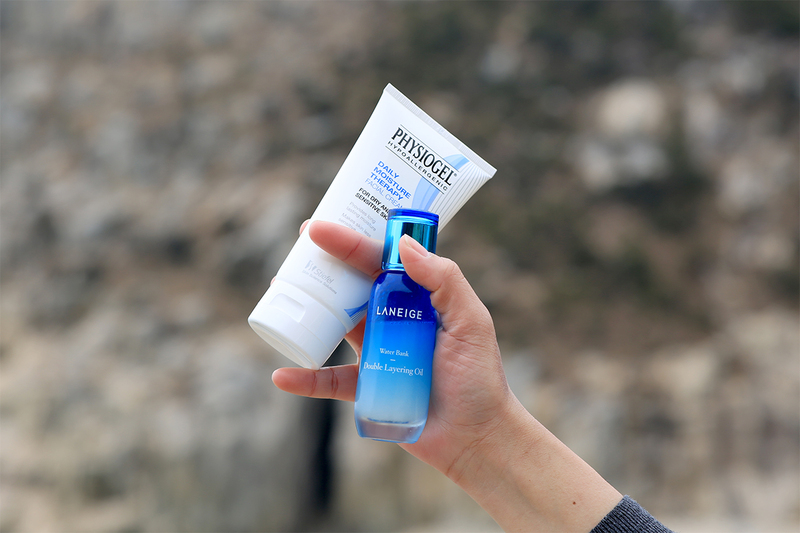 Laneige Double Layering Oil is a great product if you have dry skin as it helps keep the cracks around your nose and the side of your mouth to its minimal. I use it after toner and before moisturizer- although it reads oil, it isn't greasy and it absorbs quickly into the skin! You can even use it as makeup base for that healthy glow. Physiogel facial cream is no stranger to most of you but to be honest, I've doubted it at the beginning because of it's plain packaging! 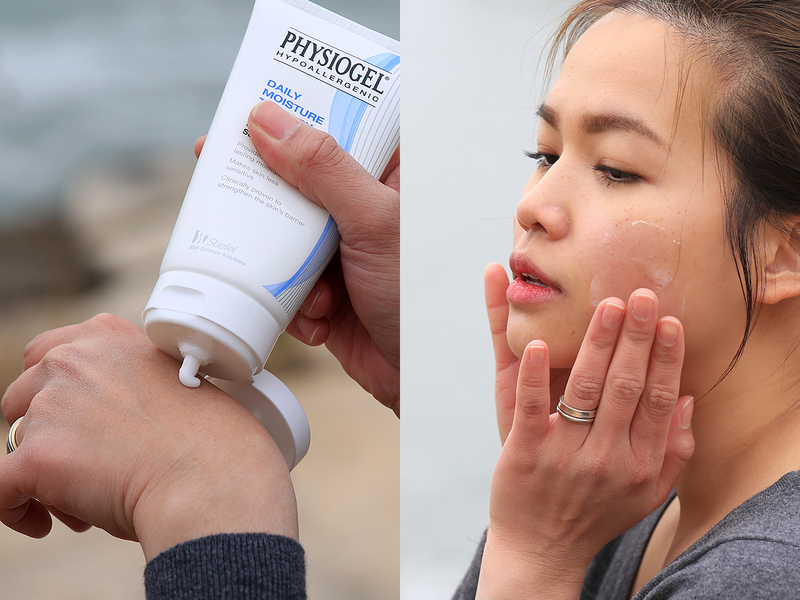 Now that i'm on my second Physiogel Daily Moisture Therapy tube, it's been serving me great as a moisturizer!